Here you will find helpful links and information about how to start a business, business assistance services available in the area, information on getting a business license, the ability to get on the vendor list and information about the Town’s economic development efforts. The Community Development Department (CDD) grants approval for commercial development projects in Florence. The Planning and Zoning process ensures that projects conform to the Town’s ordinances and design standards. Contact the CDD to determine the types of applications that are needed for a project, how to process the applications, and make an appointment for initial site/plan review. Other Town departments may be included in the process such as Building Safety and Public Works. New or existing residential, commercial business, industrial business and multi-family subdivisions. Preliminary and Final Plat Maps. Zone changes; Planned Unit Developments (PUDs) and Amendments; Variances; Conditional Use Permits; and Design Review (Historic District Advisory Commission). Conversions of residences to commercial uses (NO zoning). All commercial enterprises located in the Town of Florence must have a business license. The application is available at Florence Town Hall or it can be downloaded here: Business License Packet, or under the Business License section of our website. Contact the Arizona Department of Revenue to inquire about the taxes associated with specific types of businesses. There are several resources available to start your small business in Florence. Whether you are looking to start a business or expand, the Town of Florence wants you to succeed. The CAC Small Business Development Center (SBDC) provides management and marketing counseling to Pinal County firms with less than 200 employees. All counseling assistance is provided at no cost to the client. Central Arizona College and the US Small Business Administration (SBA) jointly fund your Center. Our mission is to help the businesses of Pinal County to succeed. One-on-one confidential counseling is the primary method of assisting clients. The Arizona Commerce Authority Small Business Services is another resource for new and existing businesses. Their free, interactive “Checklist Program to Start, Operate and Grow a Business in Arizona” is designed to help you easily navigate commonly requested information on what you need to know, who you need to contact, and where you need to go to license your business in Arizona. It also includes contact information to statewide resources and assistance to accelerate your business growth. The U.S. Small Business Administration offers programs and services to help start and grow your business. The Town Clerk is responsible for accurately recording, billing and issuing business licenses for citizens who do business within the corporate boundaries of the Town of Florence. These records flow to the Arizona Department of Revenue, which assures that businesses are reporting and remitting sales tax revenue to the Town. The Arizona Department of Revenue is our collection agent. Florence, the Pinal County seat, is located approximately 65 miles from both downtown Phoenix and Tucson, equidistant from the 6th and 33rd largest metropolitan areas in the United States. State Route 79: North-south highway with northern terminus at US 60 and southern terminus at State Route 77. Hunt Highway: Predominantly north-south highway which runs north through unincorporated San Tan Valley and merges into Ellsworth Road in Queen Creek. The highway connects Florence with the East Valley of Maricopa County. Florence is located approximately 20 miles east of Interstate 10, 30 miles from Interstate 8, and 60 miles from Interstate 17. There are two commercial airports near Florence. Phoenix Sky Harbor International Airport (57 miles) is one of the ten busiest airports in the nation. It is home to 15 airlines with access to more than 80 domestic and 20 international non-stop or connection destinations. Phoenix-Gateway Airport (32 miles) located in Mesa, is home to Allegiant Airlines with daily flights to destinations throughout the United States. Central Arizona Regional Transit is a public transportation system based in Coolidge, Arizona with select routes in both Florence and Casa Grande. Fares start as low as $2 for adults and $1 for children. Stops in Florence include Corrections Corporation of America, the Pinal County Courthouse, Florence Senior Center, and the Pinal County government complex. The Town of Florence is committed to making our community your business’s new home. Below is a list of various incentives offered through the Town of Florence for prospective and existing businesses. 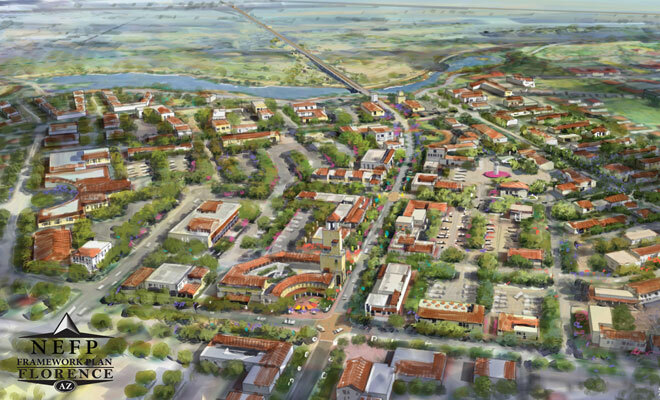 Florence is fortunate to be one of the few communities in the State of Arizona to have an Infill Incentive District. This incentive is designed to encourage the goal of redevelopment, as well as to encourage both infill residential and new commercial opportunities in the historic core of Florence. Incentive parameters for this district include the following: public right-of-way deferrals; parking requirement deferrals; fee waivers; expedited action of documents; landscaping reduction or phasing requirements; and relief from code not specifically identified. The program is intended to assist with issues and challenges related to development and redevelopment projects located in the Town’s Infill Incentive District area. This incentive provides flexibility with the use of the International Existing Building Code (IEBC). Buildings constructed before 1990 and are 10,000 square feet or less may be eligible for the program. The State of Arizona offers a wide variety of economic incentive programs to promote and encourage high-wage job growth and capital investment. The Arizona Commerce Authority (ACA) is the central source of information for Arizona’s business incentives. For more information on any of the incentives listed below, please contact the Arizona Commerce Authority (insert web link). An investor may obtain an income tax credit of up to 35% for investing in a qualified small business. Companies are encouraged to learn more about becoming certified by ACA. Businesses installing a solar energy device at an Arizona facility may be eligible for an income tax credit of up to $50,000 per tax year. Provides reimbursable grants to employers that implement job-specific training plans for new jobs or training plans that increase the skill level of current employees. Provides income tax credits of up to $9,000 for each new quality job that is created. A Federal tax credit of up to $9,000 for businesses that hire individuals from nine target groups who have consistently faced significant barriers to employment. Companies engaged in the solar, wind, geothermal, and other renewable energy industries may obtain up to a 10% refundable income tax credit and up to a 75% reduction on real and personal property taxes. Offers a refundable income tax credit equal to the lesser of 10% of the qualifying capital investment or $20,000 per net new job at the facility. Refundable income tax credits are available for investments in research and development activities conducted in Arizona. The tax credit starts at 22% of the qualified R&D expenses for amounts in excess of expenditures from the previous year. Recent legislation enhances the tax credit amount up to 34% if increased R&D expenditures are made in conjunction with an Arizona public university. Provides an additional depreciation schedule to encourage new capital investment by reducing personal property tax liability. The program is available to businesses that lease parcels from a municipality rather than own them outright. Real property tax is waived and replaced with an excise tax that is an established rate per square foot and based on the type of use. Businesses located in a zone or sub-zone are eligible for up to a 72.9% reduction in state real and personal property taxes. Exemptions are available for machinery or equipment used directly in manufacturing; machinery, equipment, or transmission lines used directly in producing or transmitting electrical power; machinery or equipment used in research and development; and the electricity or natural gas for businesses that are principally engaged in manufacturing or smelting operations. The Town worked closely with legendary architect and planner, Vernon D. Swaback, Managing Partner of Swaback Partners, to develop a bold vision that would link historic Florence with the growing suburbs north of the community. The Town has been implementing this vision through preliminary engineering and ongoing planning for the site. A new hybrid zoning district was created that merged the best aspects of performance, form-based, and conventional zoning codes in order to develop the most creative, flexible, and mutually beneficial regulatory environment possible. Opportunity Zones (OZ) allow private capital to be invested in projects and businesses located in certain economically distressed areas. Opportunity Funds (O-Fund) are an investment entity organized as a corporation or partnership, certified by the Treasury Department (there will be a self-certification process), that holds at least 90 percent of its assets in OZ properties. The O-Fund can acquire property in an OZ or make an equity investment in a business located in an OZ. An investor who has capital gains from the sale or exchange of an asset can invest a portion or all of the capital gains in an O-Fund within 180 days of the sale or exchange date. The deferred gain will be included in income upon the sale or exchange of the investor’s interest in the O-Fund and will be taxed at a reduced rate based upon the 5 or 7 year length of investment or December 31, 2026 whichever is earlier. Florence has one designated OZ, Census Tract 9.01. For more information, contact Jennifer Evans at 520-868-7549. Arizona became a territory under the signature of Abraham Lincoln in 1863. When the Civil War ended two years later, the U.S. Calvary came to protect the new territory from bandits and Native Americans. Farmers soon settled the banks of the Gila River to raise cattle and hay using prehistoric Hohokam irrigation canals. Settlers came from the east seeking fortune and adventure. At the same time, families trying to escape wars in northern Mexico moved north. So began Florence. In the 1870s, Florence experienced a large population and commerce boom as loads of ore from the Silver King Mine passed through town. The community became a business and social hub as miners and cowboys patronized the more than 28 canteens. Homes and commercial buildings were constructed of adobe and shaded by cottonwood trees growing along small ditches of flowing water. 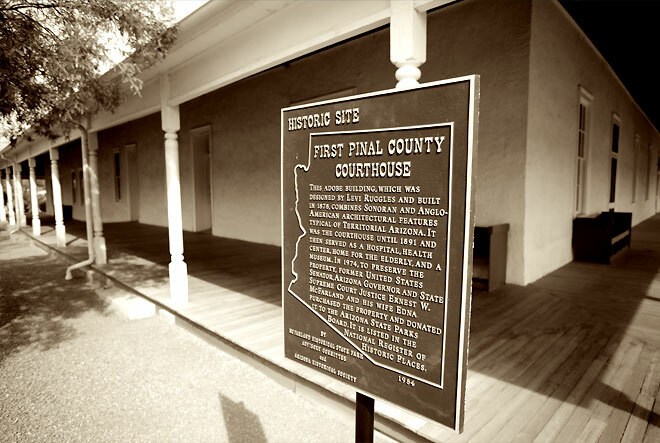 Florence became the Pinal County seat in 1875, and a new adobe courthouse and jail were built. This building exists today as McFarland State Historic Park to pay tribute to Ernest McFarland who was a U.S. Senator and the father of the G.I. Bill as well as the 10th Governor of the State of Arizona. In 1891, a new courthouse was constructed and served the county for nearly 100 years. Recently, the structure was rehabilitated and once again serves as the home of the Pinal County Board of Supervisors. In 1908, prisoners from the Yuma Territorial Prison were brought to Florence to construct a newer facility. This facility, the Arizona State Prison Complex, became the basis for additional correctional facilities constructed in Florence and remains in operation today. Central Arizona College (CAC) is a dynamic and multifaceted institution of higher education. CAC has nine campuses and centers, strategically located throughout Pinal County for the purpose of educating the diverse population of the region. The mission of CAC is to provide a vibrant environment centered on learning and learner success for students ranging from teenagers to those 55 and better. The average age of CAC’s student population is in the mid-30s. 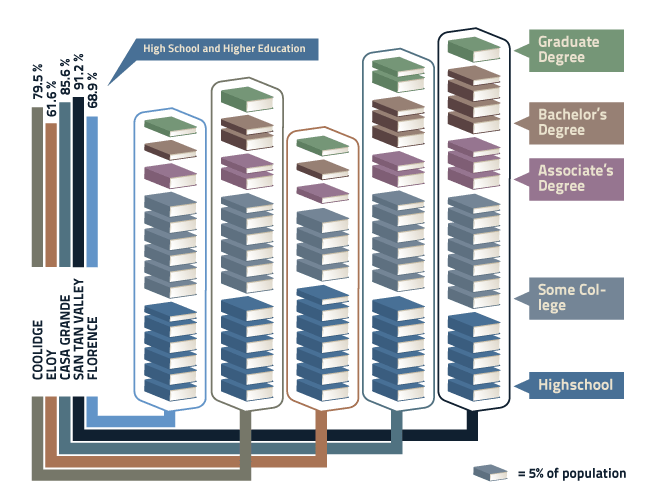 Arizona State University (ASU) has developed a new model for the American Research University, creating an institution that is committed to excellence, access, and impact. ASU pursues research that contributes to the public good, and assumes major responsibility for the economic, social and cultural vitality of the communities that surround it. As a public research university serving the diverse citizens of Arizona and beyond, the mission of the University of Arizona (UA) is to provide a comprehensive, high-quality education that engages our students in discovery through research and broad-based scholarship. UA aims to empower graduates to be leaders in solving complex societal problems. Whether in teaching, research, outreach or student engagement, access and quality are the defining attributes of the University of Arizona’s mission. As the state’s land grant university, UA honors a threefold commitment to education, research, and community service. UA faculty and students share their knowledge, their time, and their resources throughout the state and around the world. At over 3,100 acres, Anthem at Merrill Ranch is one of Arizona’s largest master planned communities and is located within the corporate limits of Florence. The Town of Florence formed, and continues to maintain, a strong partnership with Pulte Homes. This partnership has taken the project from vison to planning, and ultimately to vertical development. Included in this master planned community are options for both family and active adult living. To date, there are nearly 2,000 single-family homes with an additional 6,500 homes planned for completion. 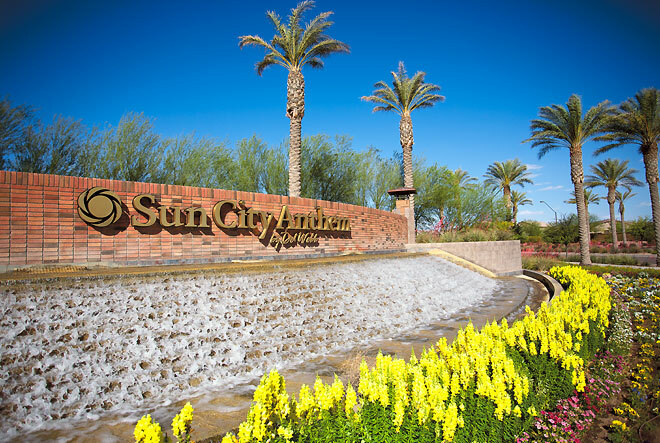 Anthem at Merrill Ranch offers remarkable community amenities including hiking trails, recreation centers, and parks; a public K-8 elementary school; a Safeway anchored commercial center; and a new 36-bed, 24-hour acute care hospital. Florence has local, as well as regional, 24 hour emergency services. The town has a variety of inpatient and outpatient facilities. 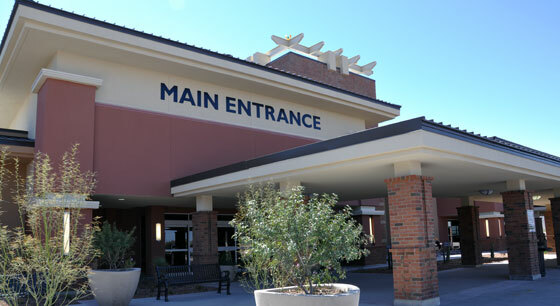 Florence Hospital at Anthem is a licensed general acute care facility. It is open 24 hours a day, seven days a week. As a “Door to Doc in 31 Minutes” promise, Florence Hospital at Anthem guarantees patients will be seen by a board-certified physician within 31 minutes of arrival. There is one urgent care facility in Florence. General medical services are available through two local providers. Chiropractic and physical therapy services are available through one of two providers. There are three dental care facilities in Florence, one independent hearing healthcare provider, and one pharmacy. The communities surrounding Florence provide additional market resources and are accessible from one of the many roadways and access points. Families and households in the Town of Florence have some of the strongest incomes and buying power in the area. As a total population, Florence has the lowest rate of family poverty in the region (6.5%). The Town of Florence is proud to be home to a number of diverse employers. The industries of corrections (50%), government (27%), and education (16%) are the major employment drivers of our local economy. As the County Seat of Pinal County, Florence has a number of centralized government services, employment options and opportunities for growth. Since 1909, Florence’s corrections industry has been a source of employment for people in Pinal, Pima, and Maricopa Counties. This industry alone provides approximately 3,500 full-time employment opportunities. Arizona Correctional Industries, a self-funded division of the Arizona Department of Corrections, is also located in Florence and offers a variety of service and labor contracts for businesses throughout the State of Arizona. As the County Seat of Pinal County, Florence is home to a number of local, county, state, and federal agencies which provide more than 3,000 full-time employment opportunities. These agencies include the Town of Florence, Pinal County, U.S. Immigration and Customs Enforcement, and the Arizona National Guard. Re-opened in January 2013, the 1891 Pinal County Courthouse is the second courthouse built in Florence and is now home to the Pinal County Board of Supervisors and other County departments. The courthouse is the winner of the 2013 Arizona Preservation Foundation Grand Award and is being touted as a prime example of how to integrate contemporary uses and systems into a historic building without compromising function or historic preservation. Operated by the Florence Chamber of Commerce, McFarland State Historic Park also operates the Florence Visitor Center. Some exhibits are present to educate visitors about the history of the building as the first courthouse in Florence. There are also exhibits about a World War II Prisoner of War Camp and the Father of the GI Bill, Senator Ernest McFarland. Florence is also located within close proximity to these other truly unique Arizona attractions. In 1995, six Greek Orthodox monks arrived south of Florence to establish St. Anthony’s Monastery. Today, the Monastery has been considered by many to be the “Oasis in the Desert,” home to numerous gardens, pathways, and gazebos with Spanish fountains. The Monastery is open to the public, but a dress code is required for entrance. Located in the neighboring community of Coolidge, the Casa Grande Ruins National Monument consists of multiple structures surrounded by a compound wall constructed by the Ancient Sonoran Desert People. The Ruins were designated a national monument in 1918 by President Woodrow Wilson and became the first prehistoric and cultural reserve in the United States. Located in Queen Creek Canyon three miles west of Superior, the Arboretum was the first botanical institution in Arizona. It was founded to promote understanding for plant-people relationships in the arid and semi-arid parts of the American Southwest. Various exhibits include a Children’s Garden, a Cactus/Succulent Garden, and an Australian Desert. This 7.2 million cubic foot, 40-acre campus is operated by the University of Arizona to study various ecosystems in a controlled environment. Biosphere 2 includes oceans with coral reefs, mangrove wetlands, a tropical rainforest, savannah grasslands, and fog deserts. Synchronicity is an Innovation Pavilion SMART City community, a collective of Mayors, city innovation leaders and large & small SMART City companies. This consortium provides thought leadership and creates content to educate other city leaders and their citizens about the possibilities of SMART City initiatives. The following episode is about entrepreneurship and STEM education and their importance for the suburban communities.